Dhathri Skin Care Lotion - Retards the aging process of the skin, refreshing and rejuvenating effect leaves the skin nourished with stable moisture content. Features: THIS MOISTURISING LOTION BEAUTIFIES YOUR SKIN TONE AND LEAVING SKIN SMOOTHER AND MORE RADIANT. 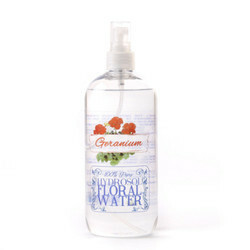 We are engaged in manufacturing, supplying and exporting high quality range of Roses Fairness Lotion. We provide all our lotion in different packaging sizes at market leading prices to fulfill the demands and requirements of clients. Additionally, we utilize premium packaging material to pack these lotion. Deep cleansing ; Antiseptic & purifying. Getting a smooth radiant skin comes easy with Allantion enriched Nakshtra night recovery Lotion. Enriched with the goodness of Glycerine and Honey, it deeply nourishes and hydrates the skin making it glow with health. - An alcohol-free astringent lotion, which tones and refreshes skin, leaving it velvety soft. 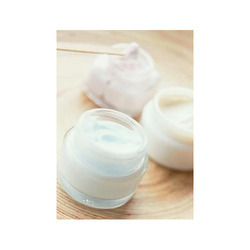 - Helps preserve the skin’s natural moisture. Ollent is an intensive, non greasy emollient lotion that gives extraordinary moisturisation to dry skin conditions. Ollent contains rich active moisturising ingredients which your skin absorbs very quickly to provide instant smooth & silky feel to mild rough & scaly dry skin. Minimizes large pores & gives matt finish to oily skin. To use - Lightly apply on clean face. A new body shaping regime with combination of Botanical Molecules & herbal extracts works on the fat that causes cellulite. The formula is enriched with BODY SHAPING ACTIVES that penetrate deep into the skin to reduce stubborn fat deposits & cellulite. Regular home massage gives a toned body & perfect shape. During the day, Artistry Time Defiance Day Protection Lotion with SPF 15 gives skin a surge of moisture while protecting it from sun damage. It stops aging where it starts. Supplier & Manufacturer of a wide range of products which include Cleansing Lotion such as Astringent Lotion, Haldi & Sandal Cleansing Lotion, Moisturizing Lotion, Deep Cleansing Milk and Skin Toner Lotion.